Chicago-based rock band 7th Heaven has been an entertainment staple in the American Midwest for 30 years. Despite its location in the U.S. heartland, the band does an annual cruise called the “Chicago Music Cruise” and this year played a week of shows on the largest cruise ship in the world, Harmony of the Seas, a Royal Caribbean smartship outfitted with energy-efficient Elation Professional LED lighting. 7th Heaven has been sailing with Royal Caribbean for years but this was the first year they were hired as a feature act. 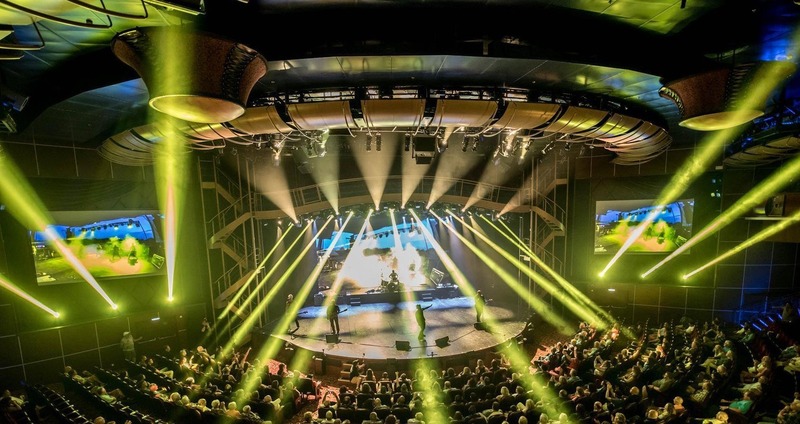 On a Harmony of the Seas cruise that sailed the Caribbean from January 7th to January 13th, the band played shows in the ship’s Royal Theatre, the ship’s main entertainment space, as well as a final show in the Aqua Theatre. 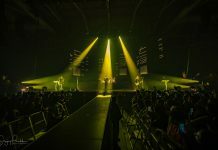 Band lighting designer Zach Scott, who has been with the band for six years and lights almost every show they play, an average of 250 a year, had large, in-house intelligent lighting rigs at his disposal. The ship’s main entertainment and relaxation areas all house Elation LED lighting. 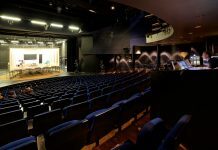 The Royal Theatre’s house lighting rig comprises 32 Platinum Wash ZFX Pro, 40 Satura Spot LED Pro, 22 Platinum Beam Extreme 5R, 6 Platinum Spot, 8 Platinum Wash ZFX Pro XL and 19 ELED QA Strip fixtures. Although Scott was familiar with many of the Elation lighting fixtures, there were a few in the rig he hadn’t yet had the opportunity to use. “This was the first time I got to use the Satura’s and ZFX Pros,” he stated. 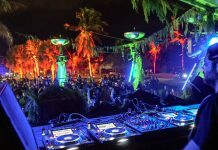 “I was super excited when programming with these fixtures because even though 7th Heaven is a rock band, we had to keep it tasteful to attract a large age group ranging from kids to senior citizens. These fixtures were a great choice for that.” Scott stated. Harmony of the Seas first sailed in 2016 and is an environmentally friendly ‘smartship’ in which energy savings and energy efficiency take priority. Elation LED lighting systems can be found across the ship including in the Royal Theatre, Studio B ice rink, Royal Promenade, AquaTheater, Boardwalk, FlowRider surf area, Solarium and pool area, as well as a host of on-board clubs, bars and lounges.